Close to Myanmar border, in a valley with a water hole and patches of marshland stands an old benjamin fig. 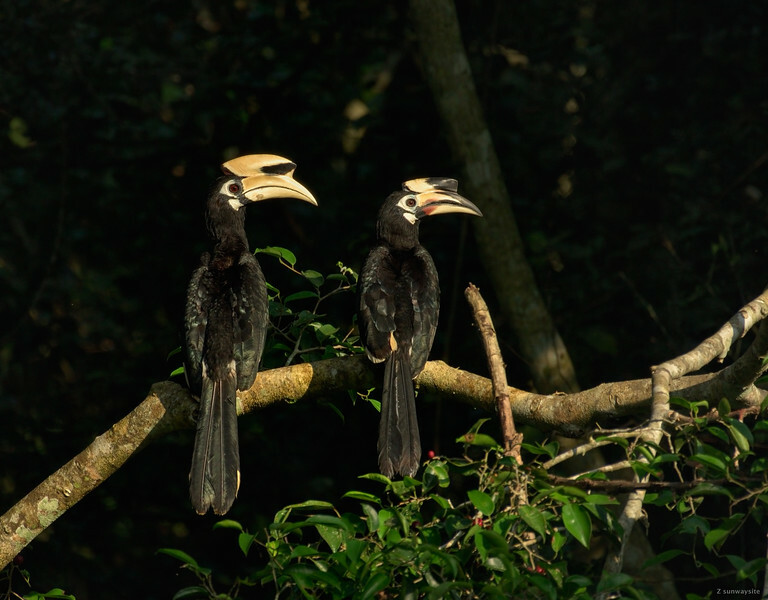 After six days of searching we found a pair of hornbills preparing for nesting here (these belong to northern ssp. 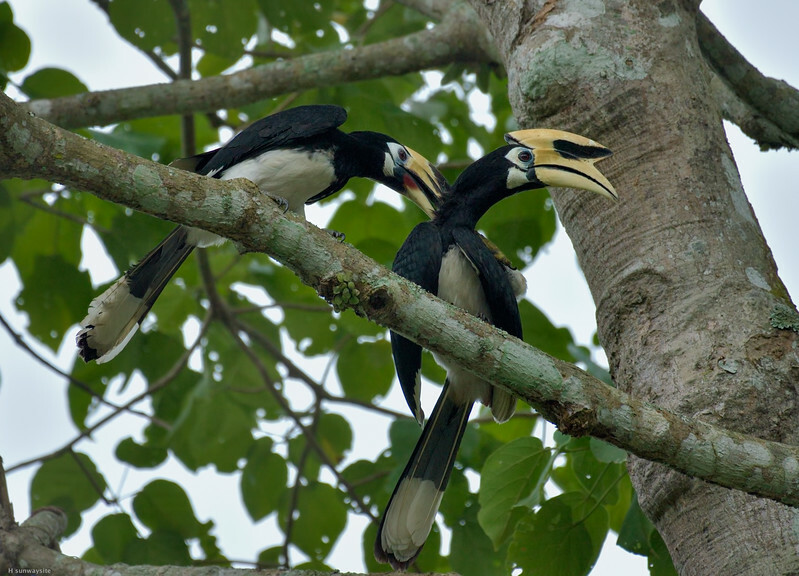 Oriental Pied and Great Hornbill). 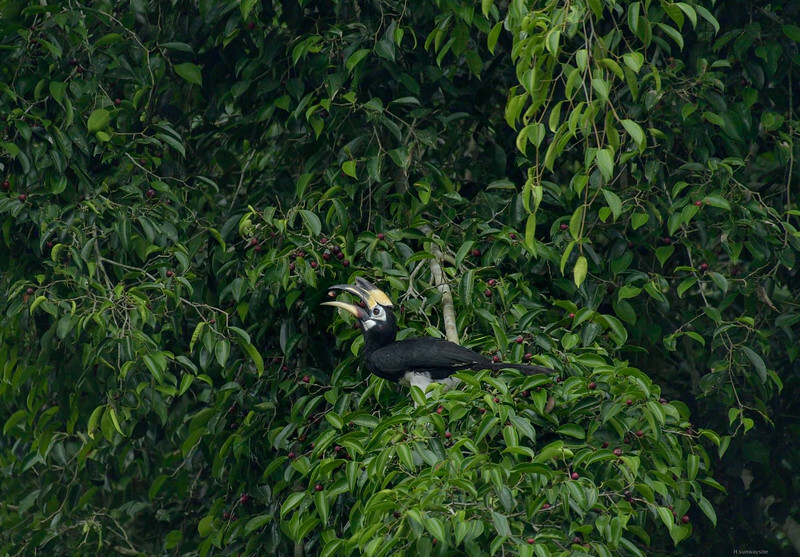 They were coming regularly to the tree to feed on its fruit alongside gibbons and other hornbills. 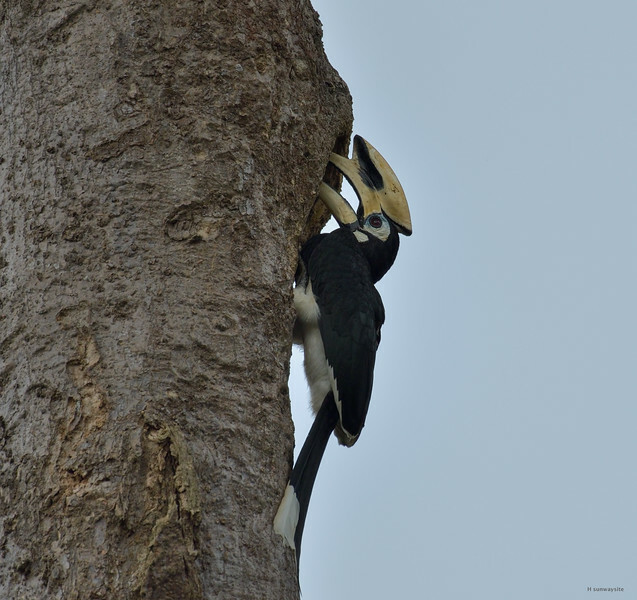 It was special experience to see them both in the tree, sometimes on the same branch next to each other. I think it could take a few years of shooting by this tree to capture this moment in a good photograph. Or a great luck. Maybe I will have it one day. 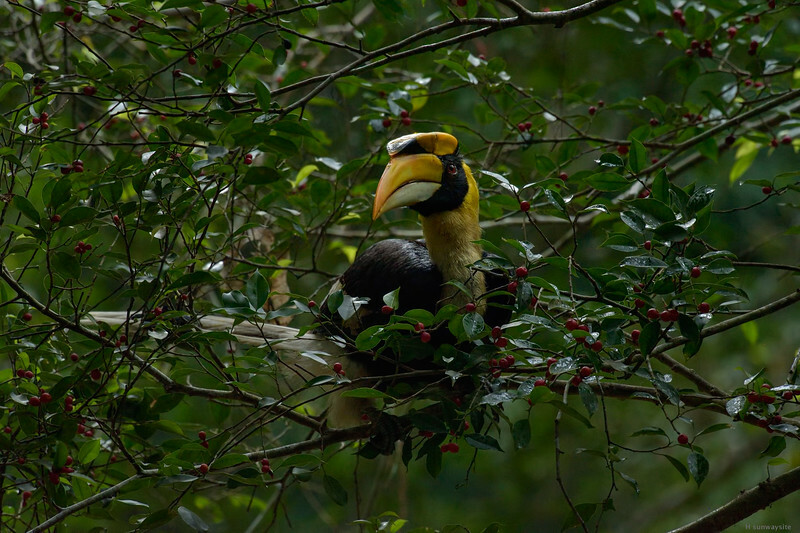 This was our best chance to photograph the birds that were our everyday companions, mostly seen flying among the trees and over the landscape, high or deep in the trees. 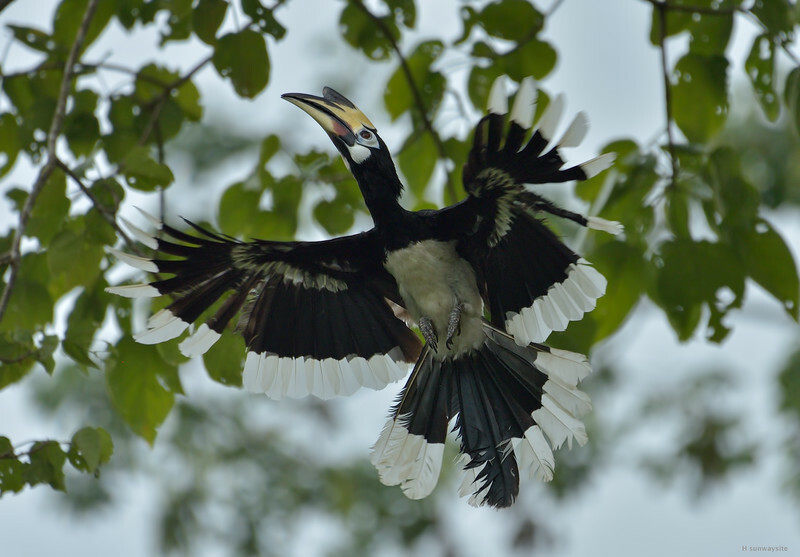 Or heard in the thicket of the jungle making you even duck when the (very) loud sound of their wings exploded overhead and listening to their primeval hooting calls. 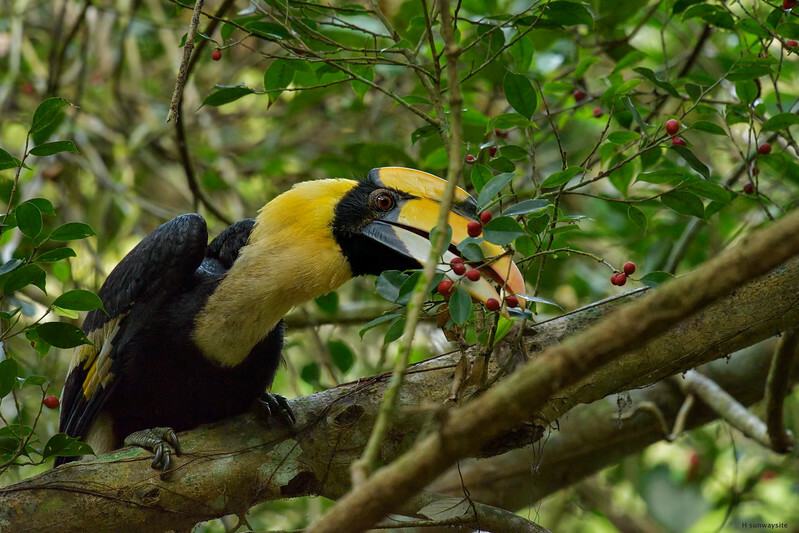 Male Great Hornbill in the Banyan tree feeding on fruit. Relatively low exposures and forest interior pose a challenge to the camera sensor. A different location further south. But she likes caring for him more than receiving the figs. 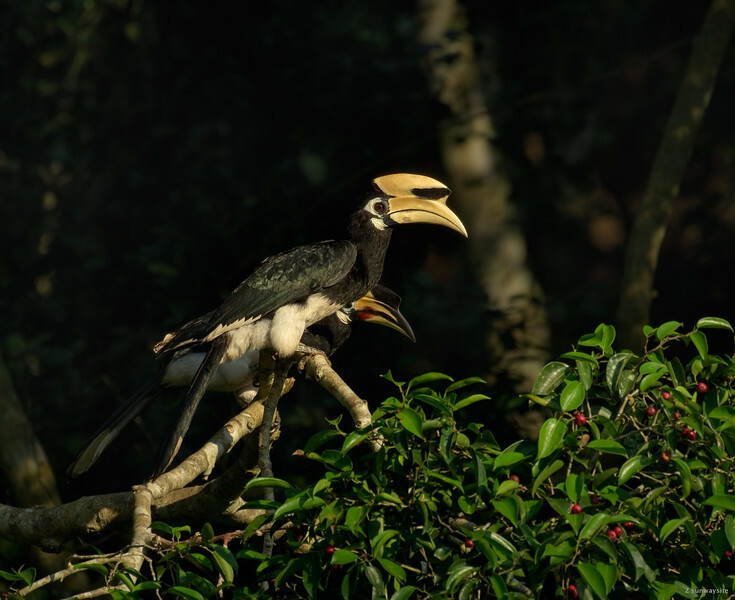 The lady hornbill also feeds by herself. Within moments she swallowed 6 figs. 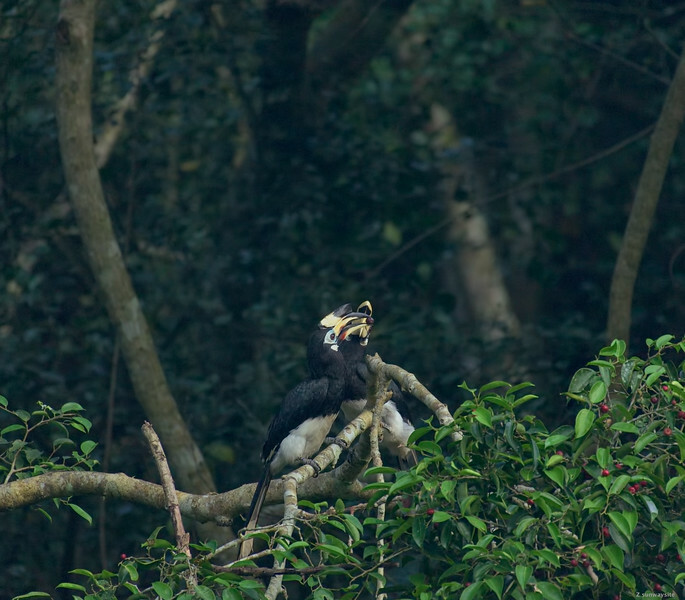 After several exchanges the female eats the fig.